Who should go? If you work in a hostel, this event is for you! Who is organizing the event? This is a collaborative effort between all of the hostels in Cluj-Napoca, Romania. How much does it cost? Participation and accommodation in any of the hostels in Cluj is free! You will just need to cover your own transportation costs and your own food and drinks. How do I sign up? Simply register here! We are inviting you to Cluj-Napoca, Romania, this year to be part at host hostel staff meeting between 7-10 November. 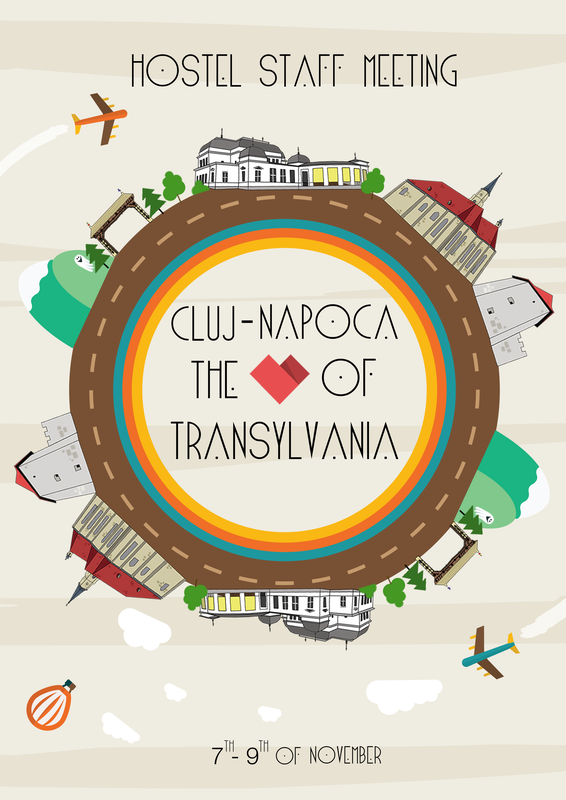 We introduce you to Cluj-Napoca – this hidden gem of Transylvania – “the best region to visit in 2016“ according to Lonely Planet. Because it’s a youthful, vibrant and authentic city! Voted European Youth Capital 2015, every year Cluj hosts two of biggest music festivals in Romania (Electric Castle - held in an old former 17th century castle and Untold – voted as the best major festival in Europe in 2015). Cluj also hosts TIFF, the biggest film festival in Romania, which celebrated its 15th anniversary this year. What’s more, Cluj comes alive with the pulses of 100.000 students and travelers from around the world who light up every night, bringing multiculturalism and diversity to this ever growing city. It's on the rise! Registration will be closed on October 24th or when we reach maximum capacity. Space is limited so reserve your bed and book your flight today! Direct flights to Cluj with Wizzair from: Barcelona, Bari, Berlin Schoenefeld, Brussels Charleroi, Bucharest, Cologne, Dortmund, Eindhoven, London Luton, Madrid, Milan Bergamo, Paris Beauvais, Rome Ciampino, Tel Aviv, Valencia and many others. Check it here! Sign up to reserve your place here! Don't miss out on the chance to party with other hostel workers!